Even a small amount of water in your basement is a serious concern. This is why Larry & Sons provides comprehensive sump pump services to all of our area clients. Whether you need sump pump installation, repair or maintenance, we have the skills and experience to get the job done right. There are two main types of sump pumps on the market today, and they are each appropriate in different situations. Pedestal models sit above the sump pit while submersible units are installed right down inside of it. Because of this difference in configuration, submersible units tend to be a bit more efficient, but pedestal models are cheaper and easier to install and maintain. There are many factors to take into consideration when determining which type of sump pump is better for your home. This can be hard to do on your own, but our professional plumbers have the knowledge and experience to guide you through the process. When you hire Larry & Sons for Hagerstown area sump pump installation services, we will make sure that the sump pump we install in your home is just right in terms of configuration and size to handle the water problem in your basement. Once we have determined the proper model for your home, we will let you know exactly what you can expect from the remainder of the installation process. Our expert Hagerstown plumbers will determine the proper place for sump pump installation in your home to maximize its effectiveness, and we will get the work done as quickly as possible to minimize disruption to your daily routine. 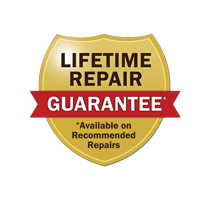 If you ever have a problem with your sump pump, whether we installed it or not, we will be glad to come out and make the necessary repairs. We can work on all makes and models of this equipment, and we have someone on call at all times in case of emergency. It is also important not to wait when you think there may be something wrong with your sump pump. The sooner we catch a problem, the easier it is to fix and the cheaper it may be for you in the long run. A well–maintained sump pump is less likely to need repairs. It will also work more efficiently and effectively, and it will last longer for you. For all of these reasons, it is a good idea to call Larry & Sons today to set up a routine sump pump maintenance visit. No matter how long it has been since your unit was serviced, a maintenance checkup will improve function and efficiency. And it will give you the peace of mind that your sump pump will work properly when you need it to. Larry & Sons provides top quality plumbing services in Hagerstown, Frederick, and the surrounding area.